All campers are assessed on the first day of their session and placed in an ability appropriate swim group for instructional swim. Building confidence through our progressive, ability-paced “Learn to Swim” program. 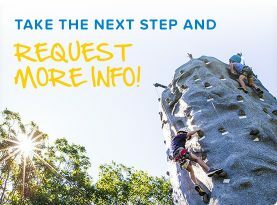 Recreational Swim allows our campers to utilize our dive rings, noodles and belly boards or play pool basketball, pool volleyball and much much more! 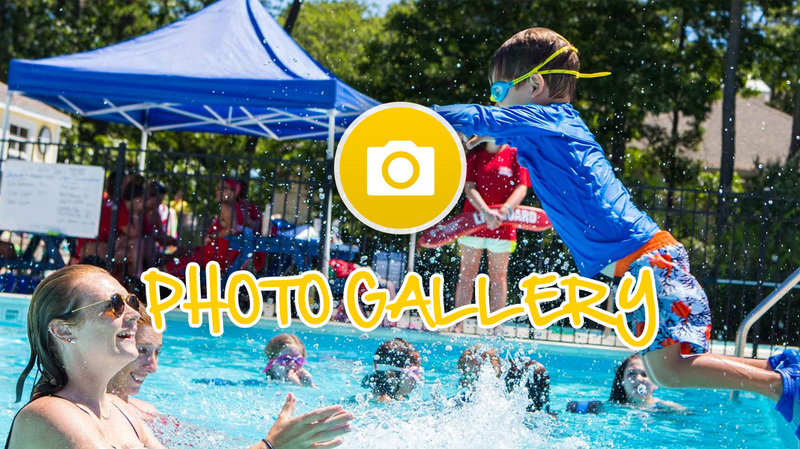 Hampton Country Day Camp has the most innovative swim program on the East End! Since our inaugural summer in 2007, we have been following the American Red Cross “Learn to Swim” program which has provided campers with the opportunity to receive the highest standard of swim instruction available. The American Red Cross “Learn to Swim” program consists of 6 levels that outline a rubric of specific skills that are used to progressively teach swimming from beginner to most advanced. 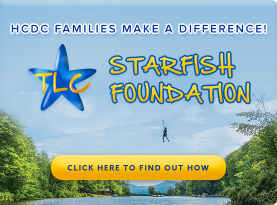 Building off the foundation of the “Learn to Swim” program, we have developed a customized swim program that provides the best possible environment for each HCDC camper to learn, improve and advance their swimming abilities throughout the summer. Our HCDC Swim Program is consistent with the American Red Cross “Learn to Swim” instructional program but further breaks down the existing levels in order to provide a simplified system with more opportunities for our campers to experience success in the water. Each camper is placed into a swim group based on his/her performance during our individual swim evaluations conducted on the first two days of his/her session. It’s important to note that all campers are assessed by certified American Red Cross Water Safety Instructors, making sure that every camper is appropriately placed in a swim group consistent with his/her initial swimming ability. Once in a group, all campers receive swim instruction every day, providing the optimal environment to progress consistently at their own pace. 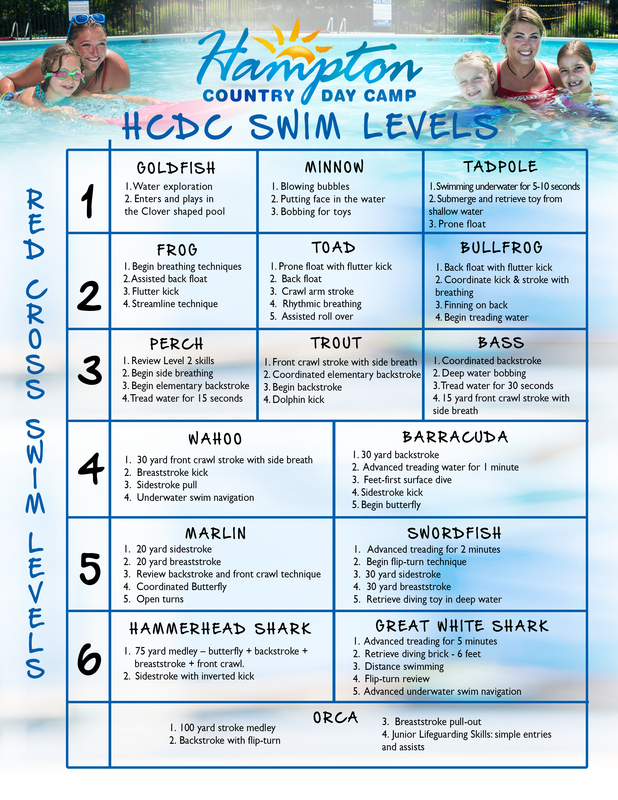 When each camper passes one of HCDC’s swim levels, he/she will receive a “swim award” which outlines the skills that he/she has completed and a Red Cross card when appropriate. In addition, our swim instructors will send home Progress Swim Reports to keep you updated on all of your child’s swim accomplishments. Our full-time aquatics staff consists of both experienced Certified Lifeguards and Water Safety Instructors who receive additional Red Cross training for First Aid, CPR & AED. In addition to our aquatics staff, group counselors always help to supervise and assist in swim instruction – our number one priority is the safety of our campers. Please click on the button below for more information on our enhanced HCDC Swim Program, the skills involved at each level, and the corresponding Red Cross level. If you have any questions, or would like to coordinate private lessons for your child, please feel free to call our office and we would be happy to put you in touch with our Swim Director.